Reta Halteman Finger began her Bible study blog, Reta’s Reflections with a study of 1 Corinthians, and then for her second Bible study series took up the Fourth Gospel— the Gospel according to John. 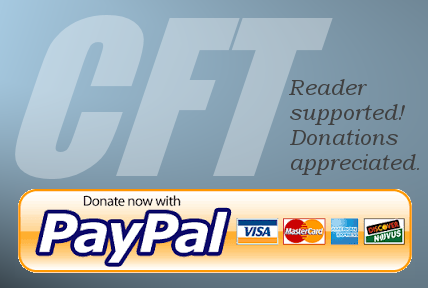 Learn more about CFT’s Reta’s Reflections Bible Study blog. Lesson 47 - What does the author intend by using two different words for ‘love’ in John 21:15-17? ‘Agape’ is the all-encompassing love from God that enables disciples to be kind and accepting toward everyone, whether or not they are lovable. ‘Philos’ is the warm affection friends have for each other. Lesson 45 - "Within our current Western worldview, a dead body that becomes alive again cannot be explained by biology or physics. Thus, some Christians see Jesus’s resurrection as less a physical reality and more as a metaphor for new life and new spiritual insight. However, it is quite clear that Jesus’s disciples and the early church were totally convinced that Jesus had been bodily raised from death; some claimed to have seen and touched him! Otherwise, he would have been a failed messiah, and everyone would have gone back to their former lives and hoped for the real one to show up." Lesson 44 - “As a feminist reader, I page back through this Gospel looking for people ‘in the know,’ and I find they are mostly women! Mary Magdalene’s knowing in today’s lesson parallels that of other prominent women in this Gospel: Jesus's mother, the Samaritan woman at the well, Martha of Bethany, and Mary of Bethany." Lesson 43 - "If they could afford it, Judeans buried their dead in a lengthy process. The first stage happened quickly, however. Between the last breath and sundown, the body was washed and anointed with spices, usually by women, and then laid on a shelf in a tomb cut out of the limestone bedrock around Jerusalem. Rites of mourning would begin at that time and continue for a full year. During that time, the flesh would rot away, leaving only the bones by the end of the year. This decomposition was necessary as a way for the person’s sins to be expiated. " Lesson 41 - "Scene 1 is an honor challenge. The elite Judeans have decided in 11:47-53 that Jesus must die. But stoning him for religious reasons will only turn the common people against them. Rome must view him as a political threat and crucify him for rebellion. Hence the Judeans’ smart alecky retort in John 18:30, indicating that, of course, Jesus is a criminal. Why else would they have brought him to Pilate?" Lesson 40 - "Then add to this complicated political system another category: the Jewish rebels and messiahs who believed God wanted them to violently overthrow the Romans. Such unrest pushed the priestly caste more strongly toward cooperation with the Roman governor and against the peasants, who comprised 90 percent of the population." Lesson 39 - "Jesus is in control of the situation. He knows 'all that was to happen to him' (v 4). He steps forward and questions first: 'Whom are you looking for?' When they reply, 'Jesus of Nazareth,' he identifies himself. The NRSV quotes Jesus saying, 'I am he,' but the Greek text uses the name we’ve heard many times before in this Gospel—egō eimí—'I AM.' When Jesus says this, all the officers step back and ignobly fall to the ground! (v 6). As they scramble to their feet, the question and the replies are repeated again: 'I told you that I AM!' Taking charge in this way is a matter of honor. Only the inferior are controlled by those above them." Lesson 38 - "Although the patron-client relationship is used between humanity and God, Jesus is clear that this should not be practiced among believers. The goal of Jesus’s work with his disciples is not to act superior to them (remember the footwashing in John 13?). Instead he asks God to 'protect them…so that they may be one as we are one' (v 11). Later, he asks 'also for those who will believe in me through their [the disciples’] word, that they may all be one' (vv 20-21). The level of intimacy between Jesus and his Father/Mother is to be the pattern for all believers. No more pulling rank over others because of higher social status. That is how 'the world' works." Lesson 37 - "The suffering Johannine communities are symbolized by a woman in labor (16:20-22). Earlier we noted how Jesus’s role in John’s Gospel is similar to an idealized Mediterranean woman who is given complete authority over her household and children. This is another example of Jesus’s (and the Spirit’s) understanding of women’s concerns. We can imagine Jesus as an older woman ministering to her daughter who labors to bring forth a child. In this way the Advocate stands with the marginalized community, making the reassuring promise that, in Jesus’s words, 'You have pain now, but I will see you again, and your hearts will rejoice, and no one can take your joy from you' (16:2-24)." Lesson 35 - "The 'key verse' in this section is verse 6, which many Christians know by heart: 'I am the way, the truth, and the life. No one comes to the Father except through me.' Unfortunately, this is often used as a doctrinal statement meant to exclude non-Christians. 'Unless you believe in Jesus you can’t be saved,' some will say. Instead of 'not letting hearts be troubled' (14:1), this verse has troubled Christian hearts and those from other religions alike. Lesson 33 - "Actually, there’s a lot going on under the surface of this special Passover meal, but only Jesus and Judas are aware of it. Judas is part of a devilish plot that Jesus strongly suspects, and he realizes this will be his last meal with 'his own.' It is 'during supper' (v. 2) that he gets up and takes off his outer robe to strip down to the knee-length tunic that characterizes a slave. He ties a towel around his waist, pours water into a washbasin, and starts washing the other men’s feet (13:2-5). This is his last chance to demonstrate the kind of humble caring that members of the family of God need to have for each other." Lesson 32 - "Unlike the Synoptics, however, this fourth Gospel does not describe Jesus as pleading for God to rescue him from death. As we saw in Lesson 25 on the 'noble shepherd,' a characteristic of nobility is the voluntary laying down of one’s life for others (John 10:11). In this spirit, Jesus accepts his destiny: 'It is for this reason that I have come to this hour'(12:27)." Lesson 31 - "Does it matter who came up with the parade idea? Probably not, except that John’s Gospel portrays a logical cause-and-effect. Jesus is already popular among the common people in Jerusalem, and his raising of Lazarus is the final sign of his right to be king in Israel (John 12:18). What better time to show him off than to a city crowded with Passover pilgrims!" Lesson 30 - "The name 'Bethany' means 'house of affliction' or 'house of the poor,' which had to be outside of Jerusalem for purity reasons. Brian Capper, an Acts scholar, suggests that Martha, Mary, and Lazarus may have had Essene connections and have sponsored a poorhouse close to their home. Perhaps Jesus originally met these siblings through his concern for the poor. If Mary’s ointment was poured out in the presence of poor people who were more used to smelling bad odors, a 'house filled with the fragrance of the perfume' (John 12:3) would have been a treat. In their presence, Jesus’s statement would have denoted compassion rather than callousness. Lesson 29 - "The miracle of raising the dead is the last and greatest of Jesus’s 'signs' in this Gospel. But can it be literally true? In our experience, dead people do not come to life again. And if it did happen, why do the other Gospels omit such a dramatic event?" Lesson 28 - "The other unanswered question is how Jesus came to know and love this family. Was he a cousin or other relative? Did the sisters run a hostel for pilgrims coming to worship at Jerusalem, and he stayed with them when he came? Whatever brought them together, it was such a loving, intimate friendship that both sisters felt free to reproach Jesus for not coming sooner. Only these three siblings are known in this Gospel as 'beloved disciples.'" Lesson 27 - "Leaving Thelma, I knew I would never see her again in this life. I did not expect Jesus to raise her as he had raised Lazarus. If we are older than 8 or 9, we know that dead persons do not come to life again. What then can we learn from a story about a man pulled out of his grave alive after four days? Is it a story of hope? Or is it only a legend conveniently omitted by the Synoptic Gospels?" Lesson 26 - "Ezekiel’s description of the false shepherds translates all too well into the 21st century, as large corporations extract resources from powerless people and regions, leaving them worse off than before. 'Ah, you shepherds of Israel who have been feeding yourselves! Should not the shepherds feed the sheep? You eat the fat, you clothe yourselves with the wool, you slaughter the fatlings; but you do not feed the sheep.'" Lesson 25 - "Jesus then names himself as the shepherd, the 'good shepherd' who lays down his life for the sheep (10:11-18). How is Jesus 'good'? There are two common Greek words for 'good': kalos and agathos. According to Jerome Neyrey, a New Testament social context scholar, agathos belongs to the realm of ethics and virtue, but kalos to the cultural world of honor and shame. Kalos, used here, is better translated as 'noble' or 'honorable.'" Lesson 24 - "This Gospel’s emphasis on the Jewish calendar and its festivals demonstrates the author’s deep roots in the Hebrew Bible and the events that the festivals commemorate. Unlike the Synoptic Gospels where Jesus remains in Galilee until the spring festival of Passover, here Jesus travels to Jerusalem over several years of ministry. He is faithfully Torah-observant as he immerses himself into these events. He becomes water and light; he is the gate that protects the sheep. He will—even more literally—become the Passover lamb." Lesson 23 - At first, Jesus-believers saw their movement as Jesus had understood himself—as part of a renewal movement within Judaism. But as the decades went by, tensions were increasing. Our Fourth Gospel, probably written in the 90s CE, may be chronicling the fatal split. Lesson 22 - "In this case, the sign weaves through such a thicket of ironies and misunderstandings that it rivals some of Shakespeare’s comedies. The antagonists work hard to prove that white is black and black is white, making this chapter the most hilarious in the whole New Testament! As you read it, ponder these questions: Who is blind and who can see? Who is a sinner and who is righteous? Who is an insider and who is an outsider? Who knows where Jesus 'comes from,' and who knows nothing?" Lesson 21 - "Perhaps this delectable story was passed on orally, independent of the four Gospels, but was too juicy not to eventually insert into a canonical document. In any case, it is consistent with Jesus’ other evasion of verbal traps and his respect for women and their equal rights with men." Lesson 19 - "The offices of king and priest tended to reinforce each other, often leading to apostasy, economic oppression, and political disaster. Thus arose the prophetic tradition, challenging both priest and king, and often serving as a voice for oppressed people crushed by their elite overlords. Jesus stands in the tradition of the Hebrew prophets who suffered for speaking truth to power. " Lesson 18 - There are many Christians I have known or read about who like the Gospel of John. Sometimes what they like is a simplistic interpretation: all you have to do is believe in Jesus and then you’re saved and have eternal life. Put more crassly, it’s “fire insurance” for not going to hell. More thoughtful persons might observe that this Gospel puts less emphasis on morality and righteous behavior than do the Synoptic Gospels of Matthew, Mark, and Luke. However, the very fact that interested followers of Jesus are now deserting in droves implies that something more has been called for than mere head belief. Lesson 17 - Jesus continues, pursuing the image of bread coming down from heaven. Just as manna came from heaven, so he has come from above to bring life to the world. This discourse on the bread of life is one of the clearest examples of the “descent of the Word/Sophia,” discussed in Lessons 1 and 2. It is a reminder of incarnation, the Word who descends to human level and lives among us (1:14). It echoes the “turkey theology” of the previous lesson, where a human becomes a wild turkey mother to provide life to chicks which otherwise would die. Lesson 16 - "Perhaps one reason I find this analogy meaningful is because I relate to Jesus more as a human and less as a divine figure whose feet rarely touch the ground. Becoming flesh is the point of 'Immanuel—God with us.' Too often Christians see primarily the inaccessible divinity of Jesus, and thus cannot follow him in life. As a result, they miss the point of the downward thrust of Incarnation." Lesson 15 - Alas, the crowd reminds us of Nicodemus (Lesson 7) who always interpreted Jesus’ words on an earthly level and thus missed their true significance. In this case, “works” and “food” have double meanings. The crowd asks, “What must we do to perform the works of God?” no doubt thinking of how they might earn their next meal of bread and fish. Yet all they need to do is put their trust in, and give total loyalty to, the One whom God has sent (6:29). Lesson 14 - If John’s Gospel were a stage play, a dramatic scene shift would occur between chapters 5 and 6. Acting as his own lawyer in Jerusalem (5:30-47), Jesus now dons a Red Cross hat as he heals many on the eastern shore of the Sea of Galilee (6:2). This draws a huge crowd, who, out of need or curiosity, forget to pack a lunch. In 6:3-15, the Great Physician becomes Mother Jesus as he personally distributes food to his dependents. For once in their lives, these peasants eat until they can eat no more. For once, there are leftovers. Lesson 13 - "Susanna’s trial illuminates this second part of Jesus’ defense against the Jewish leaders (John 5:30-47). In the previous lesson (5:19-29), he refutes the charge of being “equal to God” by taking the role of a wife and mother in a patriarchal household. Here he declares 'not guilty!' to the charge that he broke the Sabbath by telling the man he healed in 5:1-18 to pick up his mat and walk. As Jerome Neyrey’s New Cambridge commentary points out, Jesus poses as his own lawyer, marshaling five witnesses to testify on his behalf before the elders who are serving as his judges (5:16). Lesson 12 - Jacobs-Malina says that “Jesus’ primary role was to create and maintain the household of God on earth.” In this way, he acts most like “the wife of the absent husband” (p 2). If we read John 5:19-29, this is exactly what we see. Using “Son” rather than “wife/mother” to this audience, Jesus insists that he can do nothing on his own except what he sees the Father doing. At the same time, the absent husband/father grants him enormous power, even raising the dead and judging all people. Lesson 11 - "Scholars differ on how the pool was used, but its reputation of having intermittent healing properties when the water bubbled up suggests it may well have been used by Romans and Jews alike as an Asclepion. The son of the Greek god Apollo was Asclepius, worshiped as a healer and 'savior.' His cult developed healing complexes in many cities of the Empire, such as Corinth and Pergamum. Here in the heart of the Holy City came the desperate sick. Whether through Yahweh or Asclepius, all they wanted was health and wholeness." Lesson 10 - The conclusion is distinctly Johannine. After the first sign of water into wine, Jesus’ disciples believe in him (2:11). After the second sign, the little boy’s entire household believes (4:53). Many people witness a miracle but miss what it signifies. “To believe” means understanding what the miracle is pointing toward. Little by little, Jesus gathers believers who can read signs. Lesson 8 - The Samaritan woman is neither shepherdess nor virgin, and Jesus is no wife-hunter. We don’t know if the woman ever gave Jesus a drink from the well, but we do know that he reversed gender roles and offered her a drink instead. Once again, the author draws from the Hebrew Bible to portray Jesus not only as a prophet in the tradition of his people, but as the “One from Above” who relives Hebrew history—and then breaks its mold in shocking new ways. Lesson 7 - "John’s Gospel is also dualistic in terms of belief or unbelief in Jesus as Word-become-flesh (3:17-18). But the physical, created world is never seen as evil. Rather, many aspects of our earthly life point the seeker to spiritual reality. A mother’s experience of the miracle of her child’s birth illustrates the action of Mother Sophia-Spirit giving us birth 'anothen'—from above. We cannot control the wind; likewise we cannot control the Spirit moving among us." Lesson 6 - As we shall see in the lessons that follow, irony pervades these accounts. Theologian Nicodemus never understands Jesus. Before long, dialogue vanishes into a monologue by Jesus as his client creeps away under cover of darkness. But the nameless woman is the real theologian, conversing longer with Jesus than anyone else in this Gospel. In the end she introduces this “Messiah” (4:25-26, 29) to her entire village. Lesson 5 - “'These are written so you may come to believe that Jesus is the Messiah…and through believing you may have life in his name.' In other words, all the events are signs pointing in one direction—calling the reader to an unswerving loyalty to and trust in this Son/Sophia who in turn points the way to a true understanding of God." Lesson 4 - "Clearly, John’s Gospel shows through symbol and story what Matthew’s Gospel explains in plain language in Jesus’ Sermon on the Mount. Instead of Moses, Yahweh’s Son/Sophia has come down 'in the sight of all the people' to introduce a New Age where human need and enjoyment trump overly-rigid Law (see John 1:17)." Lesson 3 - Throughout this chapter to verse 42, the persons and careers of the Baptist and Jesus are intertwined. John’s role is as witness, to testify to “the Light” (1:6-8). It is powerful, it is essential, but it is unrelentingly secondary. If you are studying this in a group, have different members read the antagonistic dialogue of verses 19-28 as a mini readers’ theater. Note how John forcefully defends his authoritative actions, yet asserts he is only an agent of someone else. Lesson 2 - "What would Greek-speaking Jewish readers have drawn from this opening reflection on logos? [One of the possible interpretations of the meaning] was Wisdom. Hebrew sages of old were part of a movement that emphasized gaining wisdom through close observation of the natural world. See, for example, Proverbs 6:6-11, about observing the behavior of ants in order to live well. But these sages were not inventing wisdom; they were discovering it. For Wisdom was personified as a woman co-creating with God from the very beginning. Read her exquisite poem in Proverbs 8:22-31. Before all of God’s creative acts, 'I was beside him as a master worker, and I was daily his delight…' (v 30)." Lesson 1 - "I chose this Gospel for our second lesson series because I think it is the most thoroughly feminist writing in our New Testament. Most Christians don’t know that—but all the more reason to get acquainted with this tough, tender, mothering Jesus who befriends women as well as men."